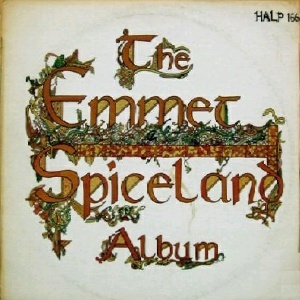 In the mid-1960s, Donal Lunny and Brian Bolger were singing together in a group called The Emmet Folk Group with a banjo player named Mick Moloney. 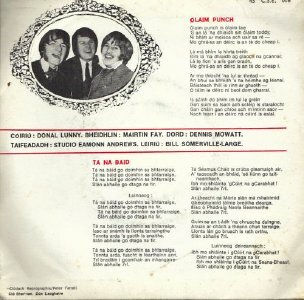 They came second to The Johnstons in the 1966 Wexford Ballad Contest. 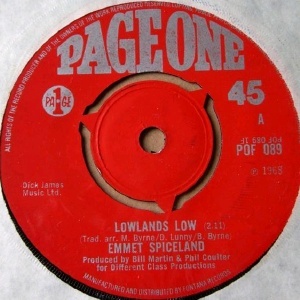 At that time there was a duo playing the folk clubs in Dublin called The Spicelanders, who were the Byrne Brothers from Sheffield, the sons of Irish emigrants. 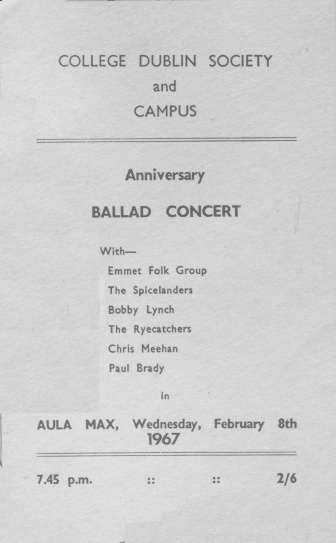 Both acts appeared on the same bill numerous times, including the February '67 Ballad Concert organised at UCD as advertised in the flyer shown above. 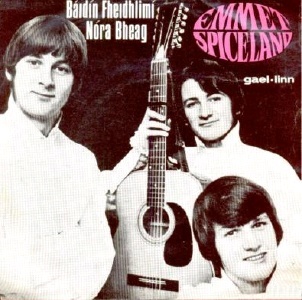 When Mick Moloney left the Emmett Folk to join The Johnstons in late 1966 or early 1967, the remaining two members, Lunny & Bolger joined forces with the Byrne brothers to form The Emmet Spiceland in 1967. 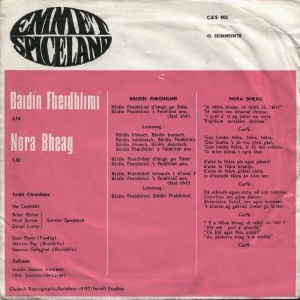 The Emmet Spiceland won the Wexford Ballad contest in 1967 which led to a recording deal. Brian Bolger left in December the same year. 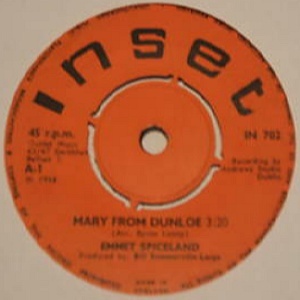 In February 1968 their debut single "Mary From Dungloe" topped the Irish singles chart. 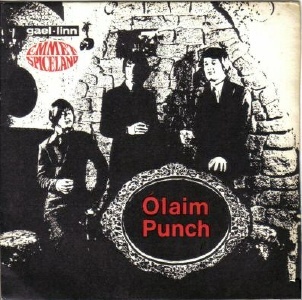 Their second single "Baidin Fheidhlimi" was another top 10 hit in Ireland in May, this time on the Irish-language oriented Gael Linn label. 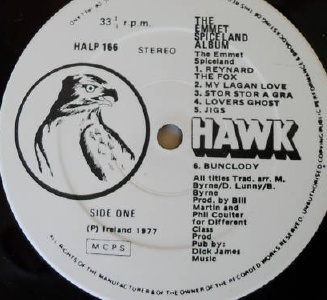 As neither of the Byrne brothers spoke Irish, they learned the words phonetically from Lunny. 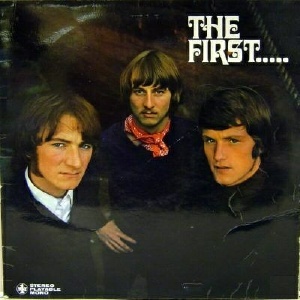 They signed To Page One Records and recorded their debut LP with Phil Coulter at the controls. The between song chat on the LP was instigated by Coulter. It was a source of some embarrassment to the band according to Donal Lunny. 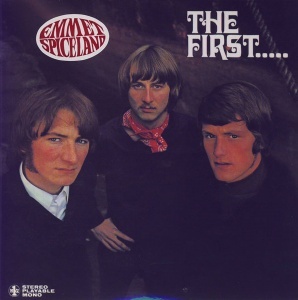 When Hawk Records reissued "The First..." in 1977 as "The Emmet Spiceland Album", they edited it out. 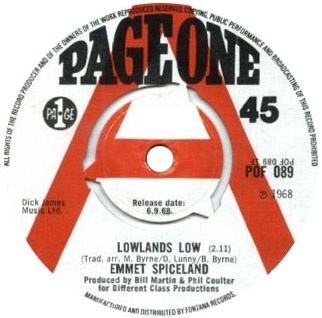 The Emmet Spiceland made a huge impact in Ireland, not least for their hip image. 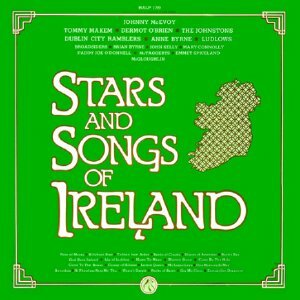 They were also hugely influential in the Irish folk scene. Lunny's arrangements of songs like "Reynard the Fox" were copied for some time after and there were many copycat groups formed in their wake. Lunny left during the first half of 1969, claiming he was giving up music to concentrate on jewelry making. He was replaced by 19 year old Leo O'Kelly, who'd been playing with the Tropical Showband since he was 14 before graduating in 1967 to psychedelic band The Word. The new lineup did several tours. 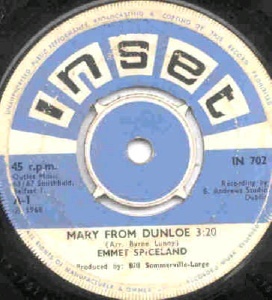 When Michael Byrne left in September 1969, Donal Lunny rejoined for the tour of the United States, which proved to be the band's final tour, after which they disbanded. 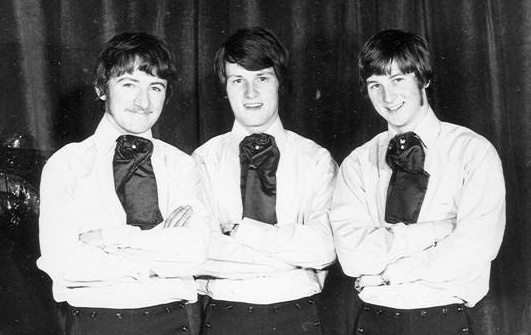 Leo O'Kelly formed Tír na nÓg in 1970 with Sonny Condell; Donal Lunny returned to jewelry making before turning up on Christy Moore's album Prosperous LP in 1972 which led to Planxty; Brian Byrne launched a solo career and achieved some fame in the London production of Jesus Christ Superstar; Michael Byrne left the music business. 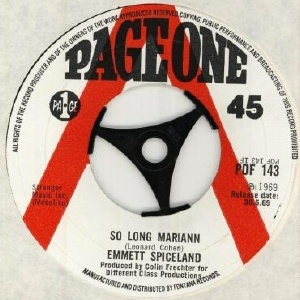 A short-lived reformed line-up with Brian Byrne as the only original member released a single in October 1973 and toured with Mushroom before Christmas that year. They supported Roy Orbison during his two concerts at the Carlton in Dublin on October 30th. 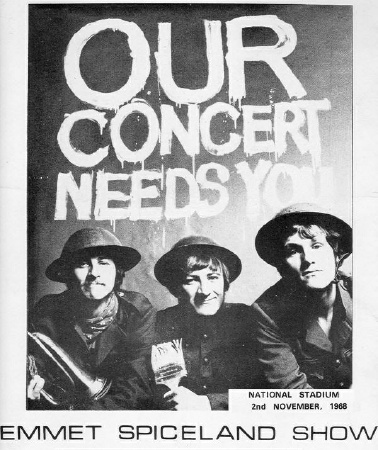 The other members of the reformed band were Honor Heffernan, Paul Ashford and Dave Murphy (not Mick Carass as previously suggested). Manager was Dave Pennefather. Reached #1 in the Irish charts. 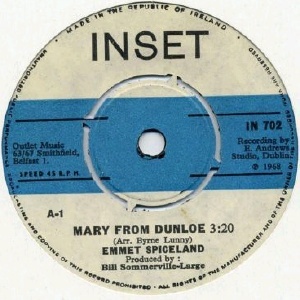 Recorded at Eamonn Andrew Studios, Dublin. Reached #6 in the Irish charts. Notes: The Japanese CD claims to be a 24 bit remaster but I believe it's a vinyl transcription. All tracks trad.arr. 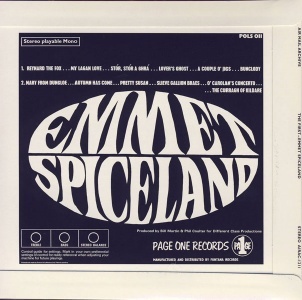 arranged by Emmet Spiceland except Autumn Has Come written by Shay Healy. Reached #8 in the Irish charts. 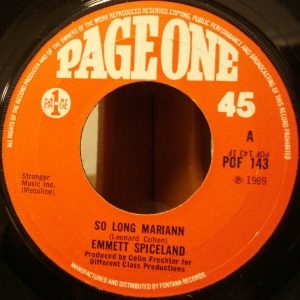 Recorded at Eamonn Andrews Studios with Bill Somerville-Large. With Denis Mowatt (bass), Mairtin Fay. Credit unclear, but this was released around the time of the reunion. LP - Tribune Records - TRLP ??? - IRL 1967? LP - Capitol Records - SQ 80006 - Canada 1967? LP - Outlet Records - LP7006 - UK 1968? Also includes a Brian Byrne solo track.